What You Eat and Drink has a major bearing on how long you're likely to live. It's old news--the chief killer in our country is still heart disease (followed by cancer). And, the chief contributing factor in heart disease is simply a bad habit of eating and drinking too much of the wrong things. In the case of cancer, diet has already been shown to be a major factor in many types of malignancy, and more of these relationships are being discovered all the time. If some of the stuff in your kitchen is bad for you, it stands to reason that some of the rest of it ought to be good for you. We already know about bran, carrots, spinach, kale, leeks and seaweed, but now, scientists may have discovered an even more palatable way for us to stay healthy. This new health drink is a special kind of tea. It's been shown to significantly reduce the effects of carcinogens in laboratory mice. It slowed the development of skin cancer in mice exposed to UV radiation. It helped slow or prevent the formation of stomach and lung cancer tumors (in mice). And, in one study, using one of the most potent carcinogens in cigarette smoke, mice given this type of tea developed 45% fewer lung cancer tumors. In Japan, where they consume a lot of this beverage, the death rate from lung cancer is much lower than here in the United States, even though the average cigarette consumption among men in Japan is much higher. What is this special tea with all the potential health benefits? It's not chamomile, or rosehips, or bran, carrots, spinach, kale, leeks or seaweed, for that matter. It's tea. Just ordinary tea. Green tea to be exact, from your typical tea plant, Camellia Sinensis. Scientists currently believe that the active ingredient that may be responsible for the anti carcinogenic effects are the group of polyphenols called catechins. Dry black tea, like your ordinary grocery tea, contains 3%-10% catechins. Oolong tea contains a little bit more (8-20%). Green tea, however, contains a lot more. A full 30-42% of the dry weight of green tea consists of catechins. All of these different styles of tea are made from the same plant--the difference is in the processing. Black tea is made by rolling the leaves, then exposing them to air. This causes most of the polyphenols in the leaves to oxidize. Oolong tea is produced via a process of rolling and drying that causes only about half of the polyphenols to be lost. Green tea, however, is heated with dry air or steam, and this destroys the enzyme in the leaves that allows the polyphenols to oxidize. They remain in the leaves to benefit mankind and laboratory mice. If you are a mouse in a high-risk group for cancer, researchers are already quite clear on how green tea can improve your health and chances of survival. But what about humans? Some studies have shown a correlation between green tea consumption and reduced cancer risk in humans. 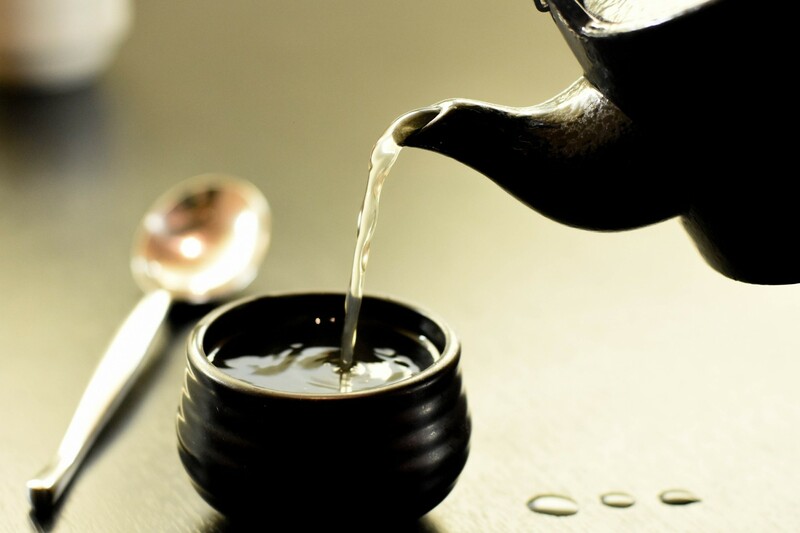 Statistical studies show that Japanese people who drink a lot of green tea show lower rates of all types of cancer, and especially stomach cancer. Further research is needed to pin down the specific health benefits of green tea to humans, because there's no way to know for certain, via statistical research, where the health benefits are coming from. in order words, if you are the type of person who prefers green tea, you may also be the type of person who does many other health things. In the meantime, a couple of things seem certain. First, it if turns out that the risk of cancer can be reduced by something as simple as drinking a cup of tea, we can expect to be hearing a lot more about it. Finally, to paraphrase one researcher, a cup or two a day can't hurt!